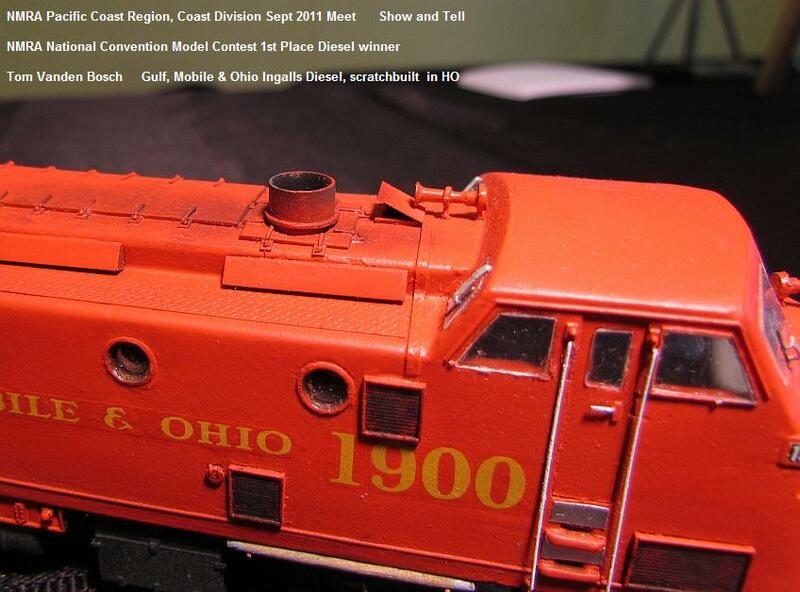 At every one of our Coast Division Quarterly Events, we have several one hour clinics, on a topic of interest to our model railroading membership. And we always have our ever popular "Model Railroad Roundtable" discussion. Note that guests are always welcome at our Coast Division events. Guests don't have to be a member to come and check out our quarterly events. Guests are welcome to come to our clinics as well. The current lineup of what clinics are coming for the next Coast Division Event are always in the current Coast Dispatcher newsletter, which is free to anyone to download. Take advantage of these unique clinic opportunities by superb clinicians..... come to our quarterly Coast Division Events....... and the price is right ... FREE!!!! See you there! the worldwide popular Arduino Open Source Hardware Microcontroller for model railroad applications. 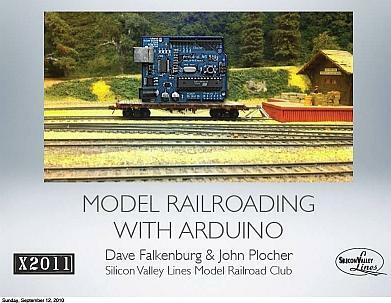 In December 2013, our 10am clinic will explore how to use the Chubb Model Railroad Interface (C/MRI) with the Arduino controller. Join us and hear what Seth Neumann and Chuck Cantania have to say, we're really looking forward to it! WP 668 is a historic Western Pacific Railroad caboose being restored by Katy Dickinson and John Plocher, a private family in San Jose, California, USA. Come hear and see in person this great story, as detailed in their blog about the restoration of this magnificent caboose. with a long variety of many of the movers and shakers of the today's high technology world. Join us and hear what Katy has to say about the WP 688 caboose, you'll really love it! We can't wait! interesting topics will come up? Something surprising and fun always does! Come join us. Two special clinics, open to all, were given in October 2013! 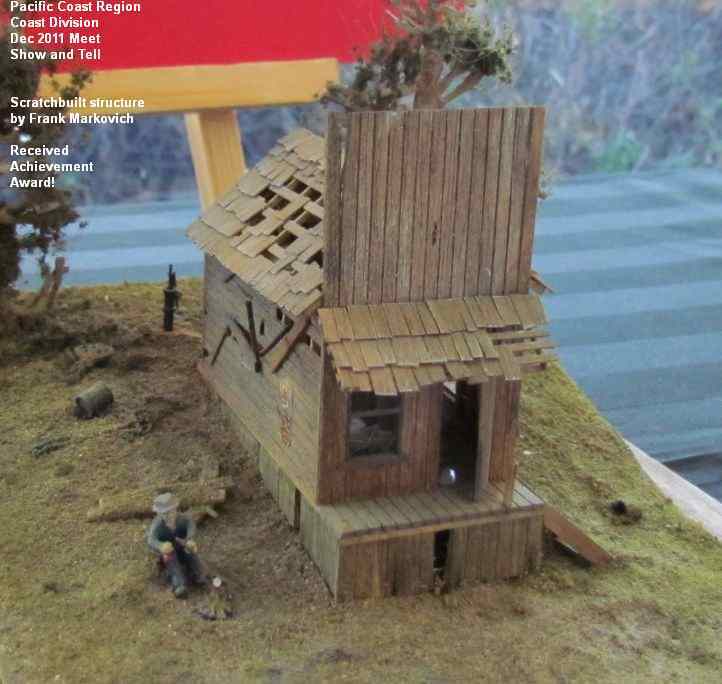 The Coast Division of the Pacific Coast Region of the National Model Railroad Association sponsored two clinics on October 19th, at 4:00 PM, open to the public. The location was the Los Altos Library, 13 S. San Antonio Road, Los Altos, CA 94022 (650) 948-7683. 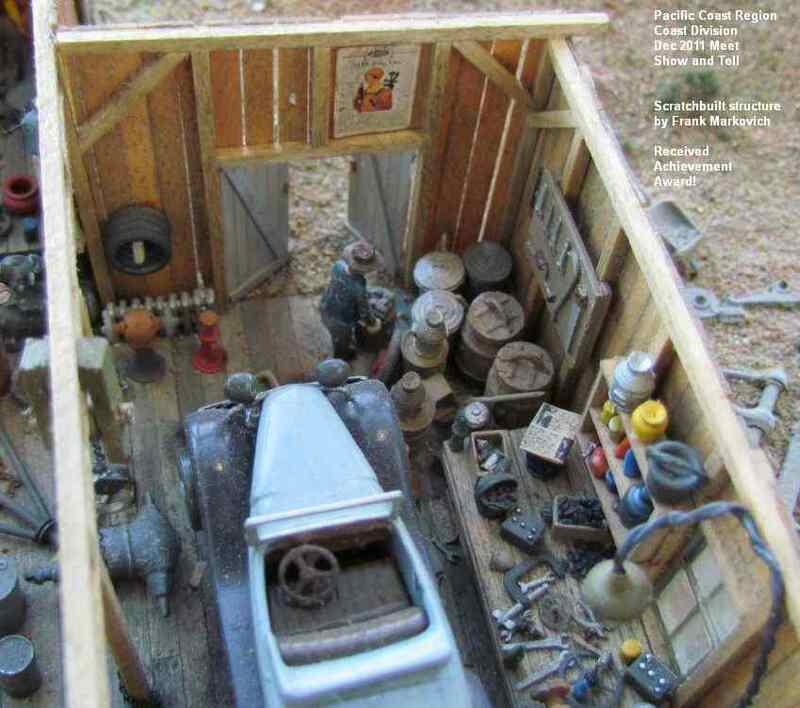 These were excellent for not only model railroaders, but for anyone building models such as displays, vehicles, plans, tanks and military. Each clinic was 1 hour, handouts provided. While there wasn't hands-on available, as you can see from Frank's handout below, there was excellent examples and detail on both subjects. 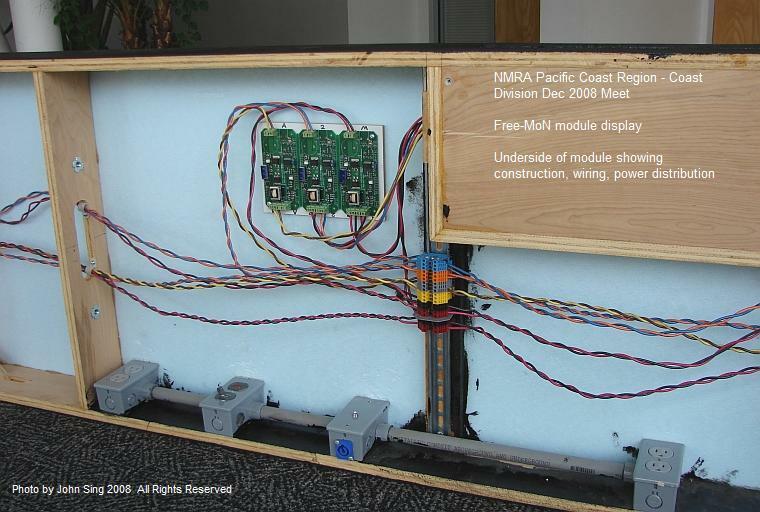 Download provided the NMRA Pacific Coast Region, Coast Division. Thank you to Jim Eckman and Frank Markovich for these two excellent. Enjoy the download handout! the Sierra today and some thoughts on modeling this unique Sierra foothills short line. 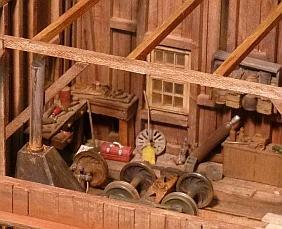 Dave Connery is one of the San Francisco Bay Area's accomplished modelers and is well known nationally. 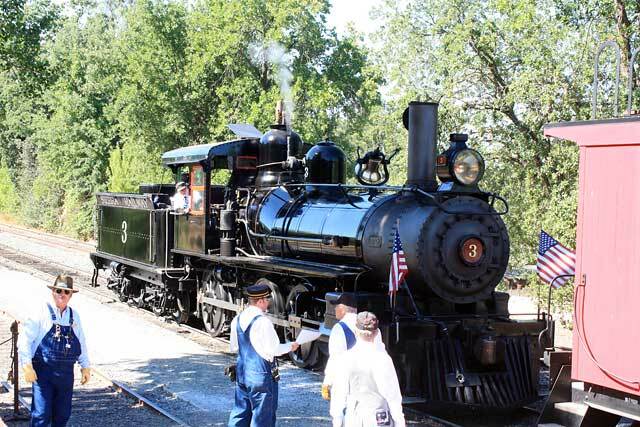 the Sierra Railway seminar, and the NMRA National Convention. Dave's wonderful and his wonderful Sierra, Carson & Truckee layout is strongly influenced by the Sierra Railway, see his YouTube channel here. and still finds time to participate in the Yosemite Short Line modular layout. Join us and hear what Dave has to say about the Sierra Railway, we're really looking forward to it! Join us and hear what Jim has to share, we're really looking forward to it! will show us his techniques, tips, and tricks for using Resin Casting as a modeling tool. 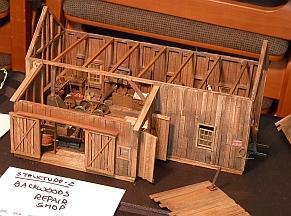 models for his son's basement-size 40' x 60' HO layout in Kansas City - great father/son combination. Here's a few shots of Tom's recent modeling contributions to our Coast Division Meet. Come here what Tom has to say about Resin Casting! Tom is building models for his son's under-construction 40' x 60' HO Kansas City Southern layout. 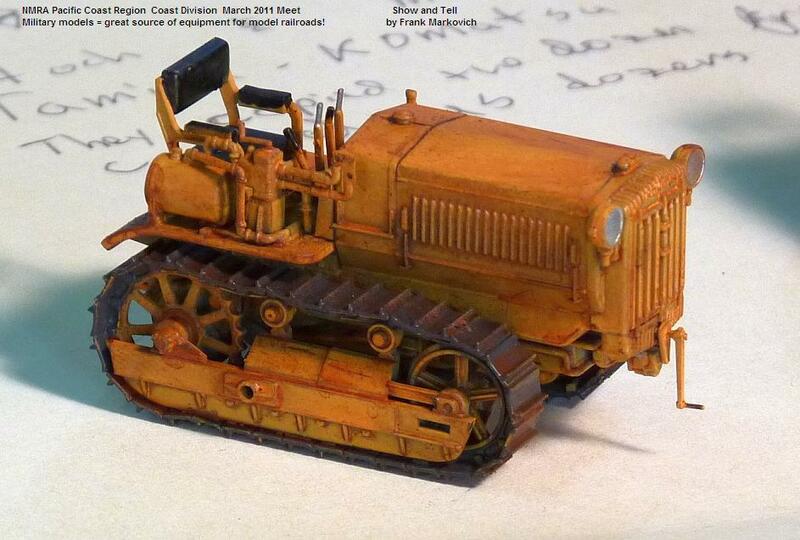 What a great collaboration - the son having his father build great models for the KCS layout! Very popular clinic by the ever popular Dave Biondi - he's will back to take us through the art of "Capturing California Gold"
many major layouts both here and afar. Come see and be inspired! You'll be glad you did. An initiation into the wonderous world of operations, with a view to the simple. Come hear this entertaining clinic on operations from one of the USA's movers and shakers in this model railroad field. is a incredible resource into the world of Ops. Come hear what Seth has to say, meet Seth in person and make the contact! See some YouTubes of operations happening on Seth's layout. Dave will walk us thru the steps, share his tricks and techniques for constructing a resin molded freight car. 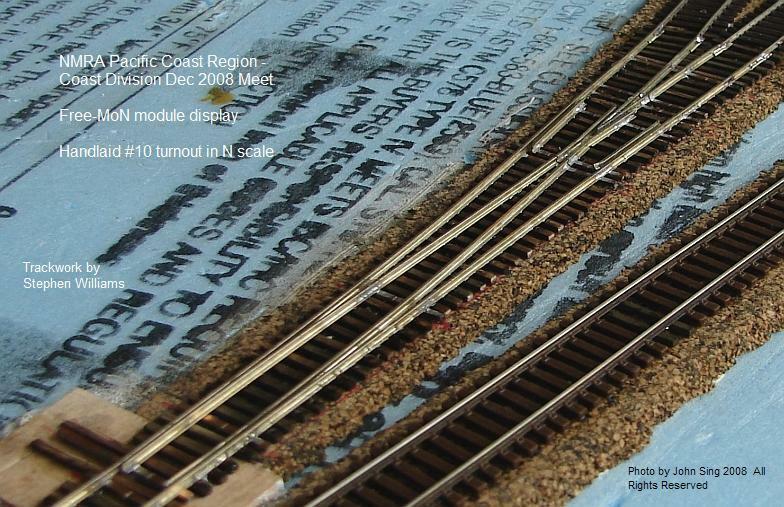 members of the well-known Yosemite Shor Line (YSL) modular On30 layout. 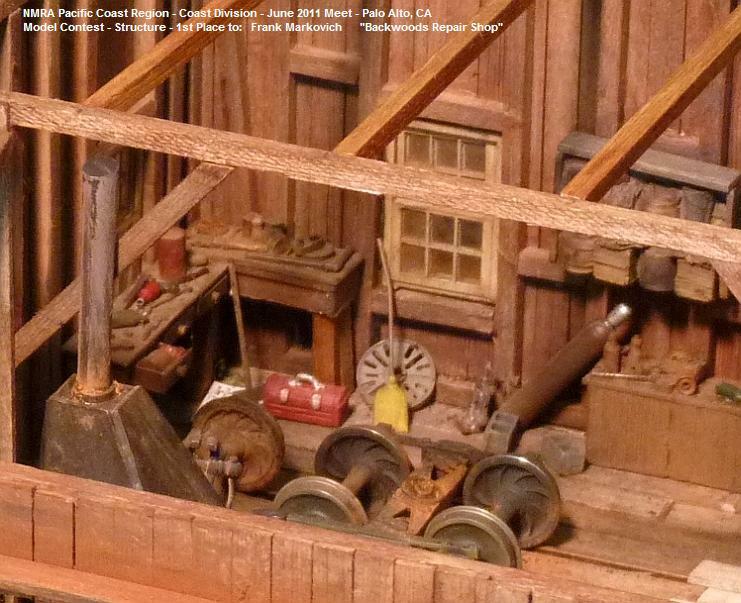 Check out this picture of Dave's stamp mill on the YSL here. 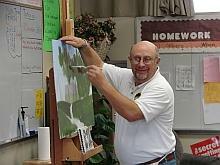 Come see, hear, and meet Dave as he shares his many years of experience with us! Very popular clinic!! 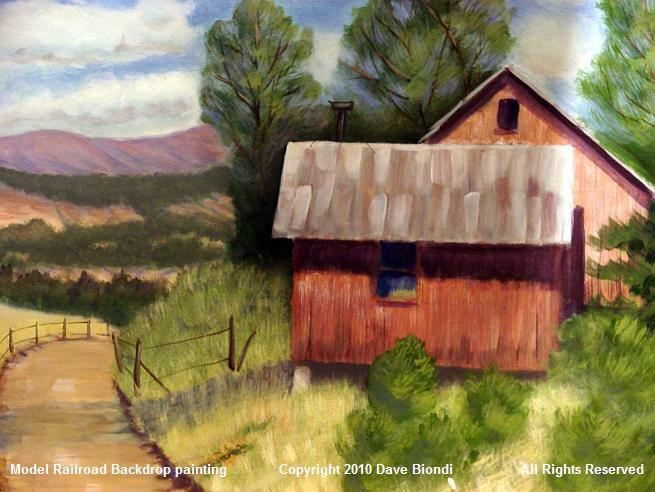 Dave Biondi will back to take us through the art of doing our own backdrops. 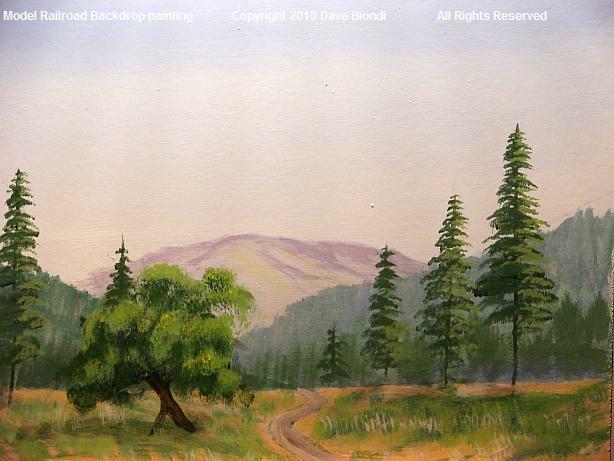 Dave will show you how you, too, can paint your own backdrop using his simplified techniques. 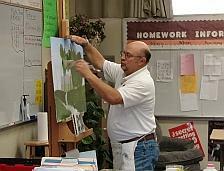 has presented numerous painting clinics for the Pacific Coast Region. Come check it out. A winner of a clinic! 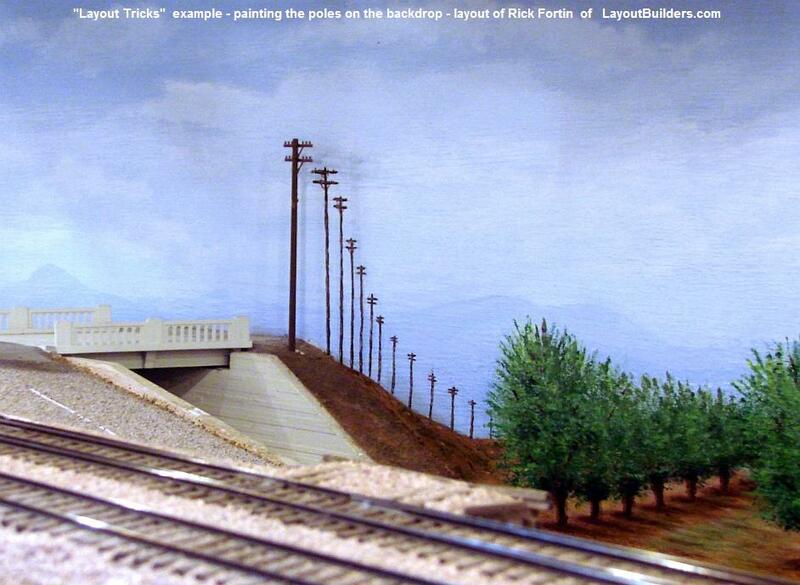 examples from layouts all over the San Francisco Bay area - many of them well-known in the model railroad press. Here's couple of examples - don't miss this clinic! Come hear and see what Jim has to say about the hundreds of interesting ways to make *your* layout "look better". for both layout installations and on-board decoders. He's a long-time member of the Central California HO club in the historic Agnew Station in San Jose. We're honored to have him. :-) . Dave will take us to the backdrop and show us how to really make the most of it. enhance our layouts with multiple types of road surfaces. Brad will use anything from dirt to plastic to patching compound depending on what is needed. Come hear and see what Brad has to say about "Roads Less Traveled"! 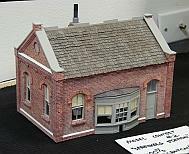 models in On30, and is a narrow gauge and short line modeler. Brad's primary interest is the Denver & Rio Grande Colorado narrow gauge. 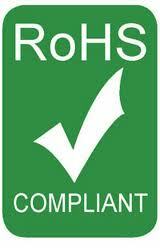 Are you familiar with RoHS ( Restriction of Hazardous Substances )? 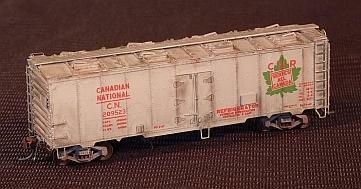 we model railroaders use, including paints and pigments, solders, lamps, bulbs and batteries. 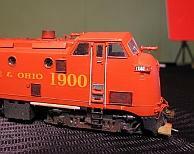 of RoHS for all of us model railroaders. Come and enjoy this interesting look at RoHS. You'll find it entertaining and educational! 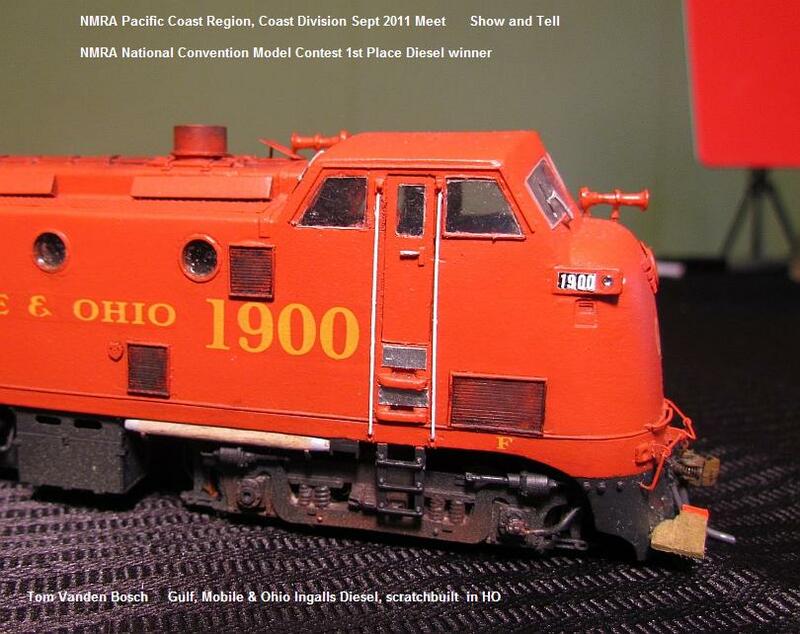 We also have our ever-popular Model Railroad Roundtable! Check it out, you'll be amazed at the good ideas, lively conversation, you'll learn a lot and have fun doing it. 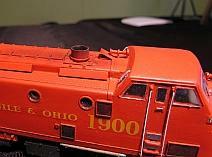 130PM to 230PM - Model Railroad Electronics! 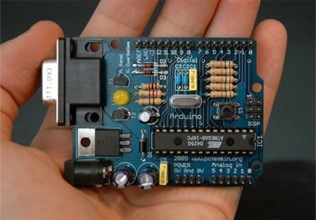 Haven't heard of the Arduino Open Source Hardware Microcontroller? If you haven't, you should! prototyping platform, and its readily available, flexible, easy-to-use hardware and software. or an inexpensive build-your-own DCC throttle or an unlimited set of other creative applications. solid state microprocessor control. Arduino is something that you should strategically know about! Dave Falkenburg, immediate past president of the Silicon Valley Lines club in San Jose, will be giving an overview at the introductory level. hardware example ( a modern-day dispatcher's panel with occupancy and signaling). If attendees have detailed questions, the speakers are able to dive into details. and effects controllers using very affordable state-of-the-art open source electronic hardware and software. that could impact our future daily lives in the same way that Linux has. Click here to download Acrobat Reader copy of this presentation ! By popular demand, John Sing is back to deliver a clinic on developing your own Model Railroad Web Site. Anyone will benefit, this clinic is designed for everyone - you don't have to be a Internet expert! It's not as hard as you think! *You* can do it! 1. What's possible with Model RR web sites? Who's doing what locally? 2. What should my "Givens & Druthers" be for my web site? 3. What are my web site options? (from Easy to Advanced). Lots of options. 4. What is my easy step-by-step list of things to do? Easy steps. 5. Examples / resources of what you can do today! You'll see many examples, including how the Coast Division quarterly web site gets built. You can literally be up and running your own web page after getting home from the the Meet. 11 AM - Details Make The Difference and MORE! 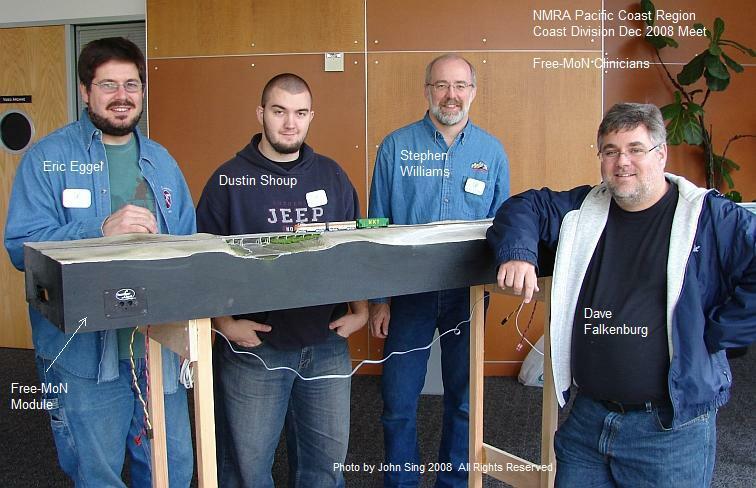 National NMRA level as well as Pacific Coast Region Conventions. Come hear and see what Brad has to say about Detailing Makes the Difference! be amazed at the good ideas, lively conversation, you'll learn a lot and have fun doing it. 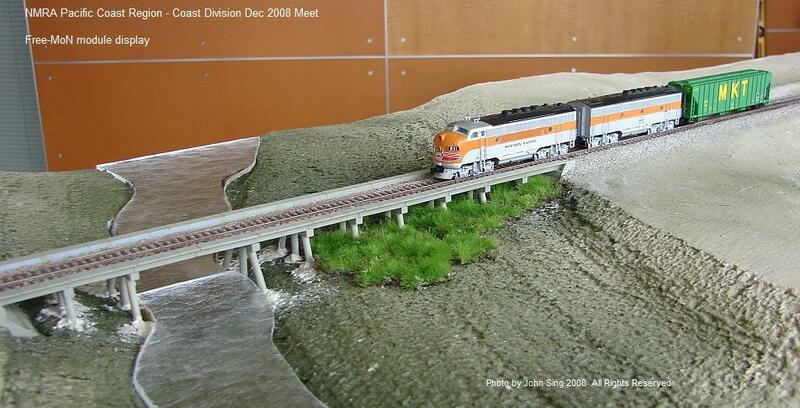 model railroad Digital Command Control (DCC) enthusiasts all over the globe. you current on what is going on right now in the fast-advancing world of DCC. In the second of his two DCC lectures today, Mark will cover decoder software - Programming and Selection. Want to know about Programming your decoder? Consisting? Function mapping? Speed tables? Back EMF? and a whole lot more? (just like the rest of our fast-paced electronic world), come and find out what is new and different. Come hear Mark speak, and you'll see how easy it really can be, when you have the right person explain it to you. 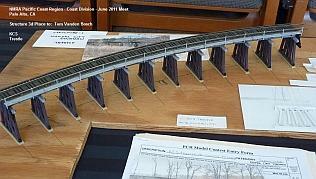 We also have our ever-popular Model Railroad Roundtable. you'll learn a lot and have fun doing it. 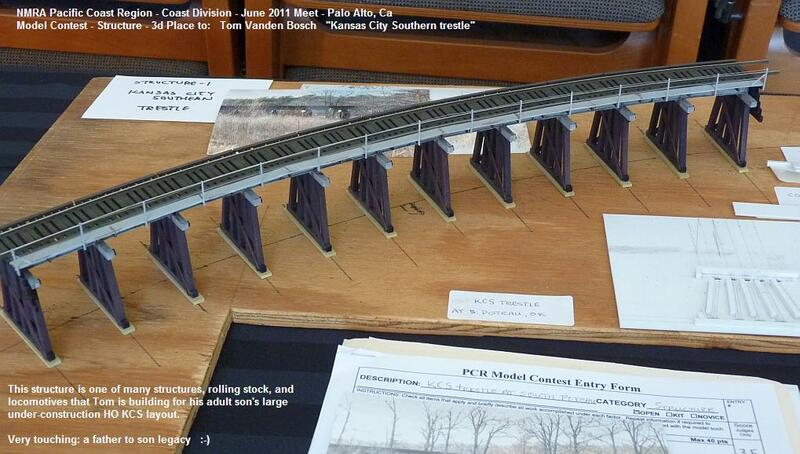 John is one of the Coast Division's prolific photographers of local model railroad layouts and models. 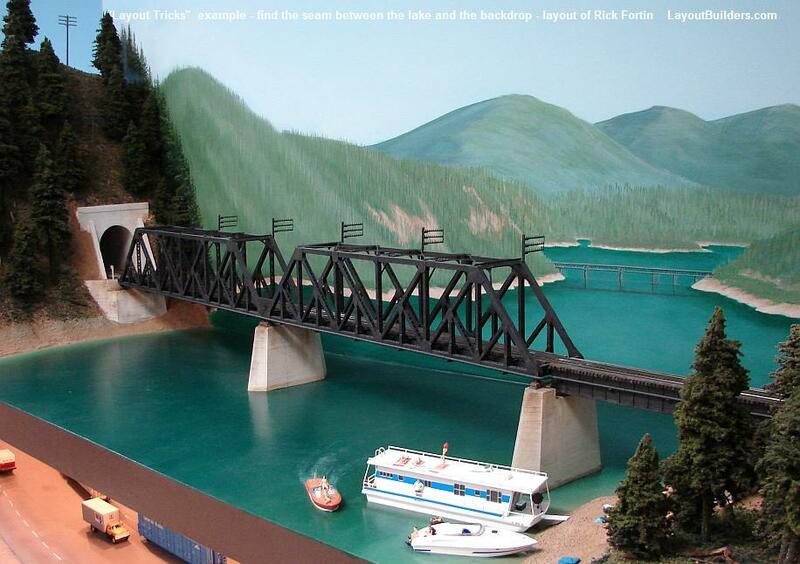 and at his own personal model railroad web site. equipment will be included, as well as ideas and recommendations for simple composition, lighting, backdrop, and exposure. using free simple but powerful photo editing software (I use IrfanView) that can be downloaded off the Internet. However, insights, tips and hints for experienced phototographers are included, as we all learn by sharing our experiences. This clinic is aimed for the "everyone" in all of us - we're not going to go into the professional level details. 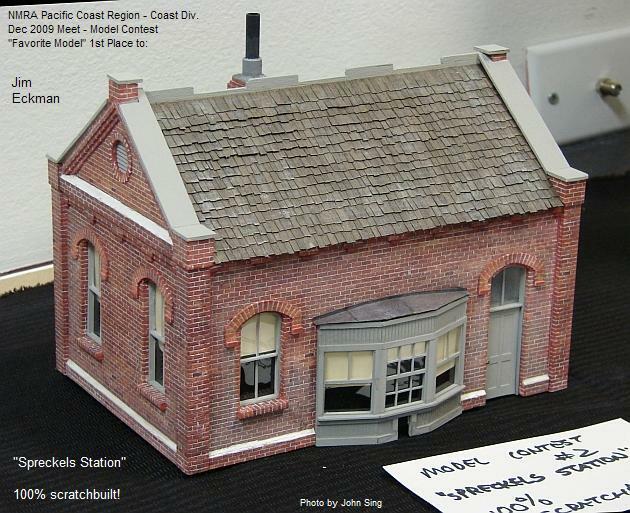 hear what John has to say about "Everyone can do digital model railroad photos!!!" for many years, almost exclusively in the roundhouse, and is intimately familar with their steam locomotives. eyes and ears of one of their dedicated longtime volunteers! 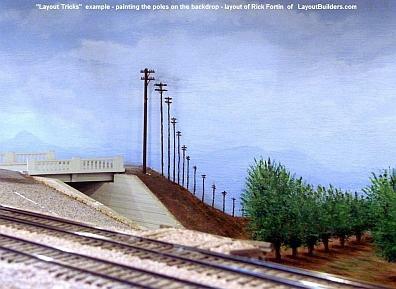 of many custom large, complex model railroad projects, such as the Lackawanna in 1/32 scale. Come and hear what Kermit has to say about putting signals on your layout!! currently serves as the national 2009 VP for the OPSIG. 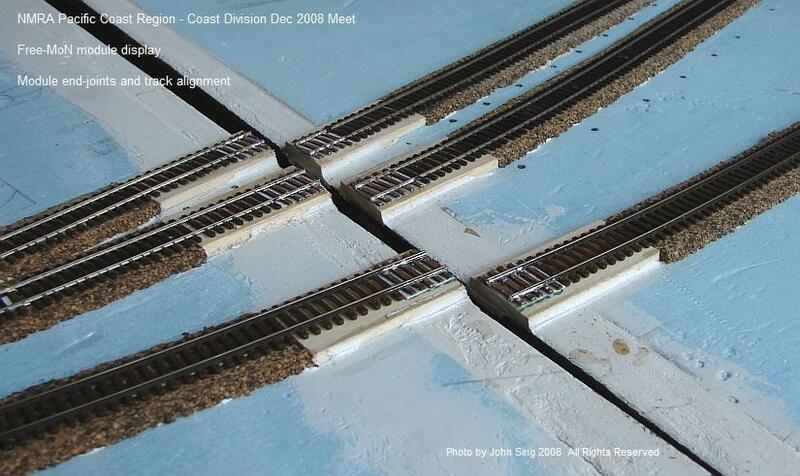 Seth will give an progress report on his built-for-operations HO layout, the Union Pacific Niles Canyon in HO. 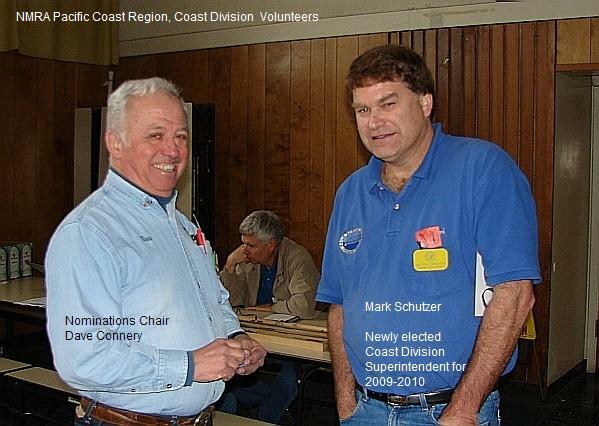 recent Pacific Coast Region 2009 convention. Come here and see what is the latest on Seth's personal HO layout, built for operations! We are going to do a repeat of the popular Special Edition Show and Tell that we did in June 2007. 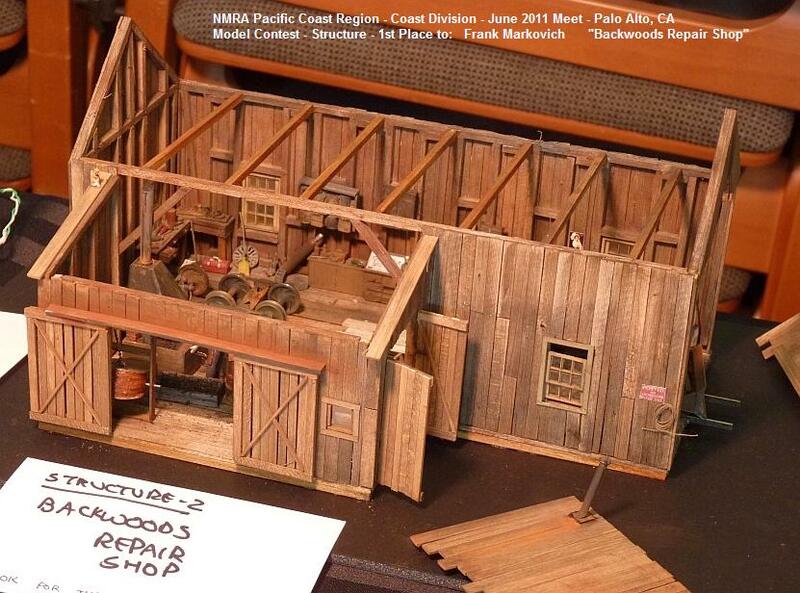 This is an exciting event, where individuals and clubs bring their models for display, modules. More publicity and information coming out soon! Call him and reserve your space now! It's going to be a great time. be amazed at the good ideas, lively conversation, and you'll learn a lot and have fun doing it. 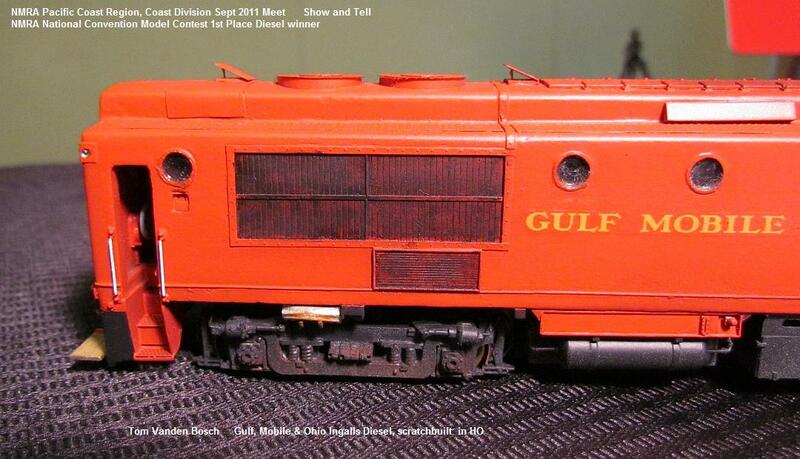 Mark Schutzer gave a excellent clinic on installing DCC in locos, especially in brass locos. Click here to download a 1.8 MB Acrobat Reader copy of Mark's handout for this clinic. on brass locos and on DCC. find you can do nice results! 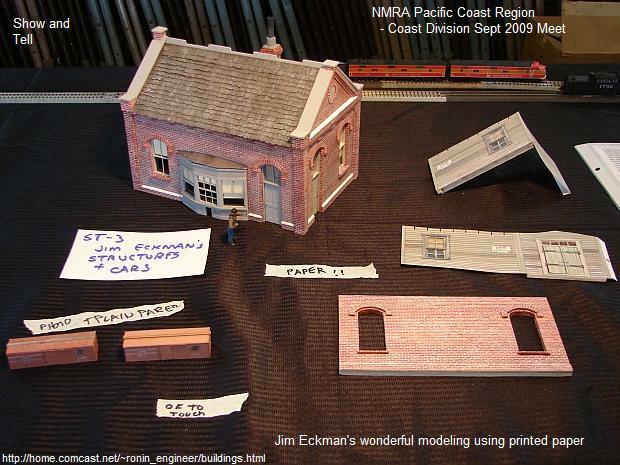 Come check it out..
A demonstration of the Free-Mo-N module construction methods and its' use in building and operating a portable N Scale Layout. Click here to download Acrobat Reader copy of Dave's clinic (2.4 MB). Click on the following photo links to see more info about superb worldwide Free-Mo-N modules: 1, 2, 3, 4, 5, 6, 7, 8. A presentation on the Senior Citizen Defensive Training program offered by AARP. a) Tuning up your driving skills and update your knowledge of the rules of the road. b) Learning about normal age-related physical changes, and how to adjust your driving to allow for these changes. c) Reducing your traffic violations, crashes, and chances for injuries. d) Driving more safely, so you can be mobile for as long as possible. Come enjoy this clinic, and Happy Driving to you! (hey, it's running trains!) - come to this entertaining clinic by Seth and learn all about it! interface to program your DCC decoders. It makes it easy to set sound levels, speed tables, etc., and will print out a list of all your CV values. It saves your settings for a given locomotive so that in case of problems, it can restore your settings. It has many other great features that make programming a decoder easy. modeling the public utility. A winner of a clinic! and full-of-information clinic on the basics of DCC. This clinic has up to a 2 hour time slot so we wouldn't be rushed. There will be a handout limited to 25 copies. Be sure to have lots of questions for the presenters! returning it, BLI has donated the engine to Coast Division when the testing was finished. It’s an AC6000 painted for Union Pacific. as described in the Coast Dispatcher Superintendent's Notes. It has a retail value of approximately $165. clinics about how to hold effective Operating Sessions. topic, com and learn all about it from one of the best. Our popular quarterly roundtable where you can ask those burning questions, and listen in on fascinating answers and tips! also get to learn so much about who is doing what, and the variety and talent is really great. Come on over! up a "Show and Tell Mini-Clinic" table at the June 2007 Meet. that with our fellow members. your favorite Railroad and why? What is your favorite type of rolling stock, passenger train, structure? you make scenery? Have you found some unique source for unusual tools that help you in your modeling? your opportunity to have the floor, and we look forward to appreciating what you have to offer. 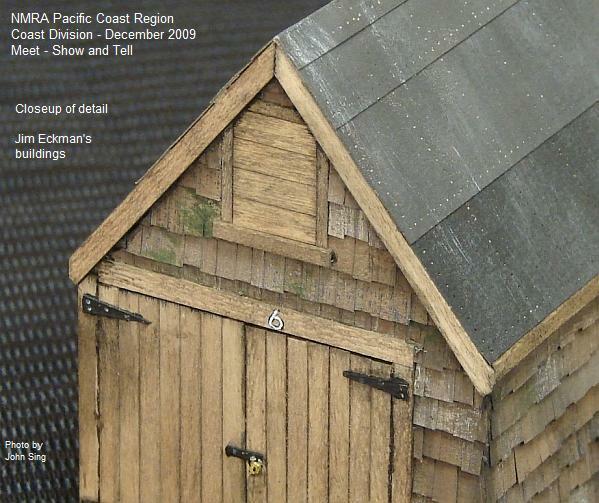 Click here to see how our Special June 2007 Show and Tell mini-clinics turned out!